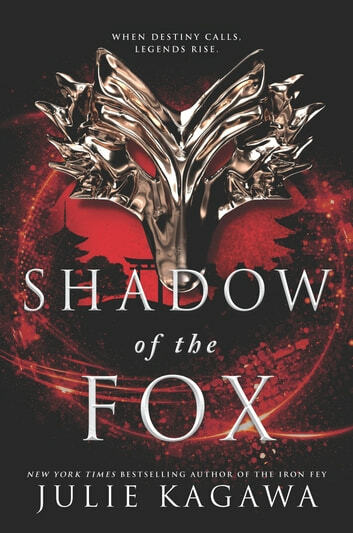 As a huge fan of julie kagawa's previous book (the talon saga) I was not dissapointed at all! The characters are all so well written, and i cant wait for the next book! This is currently my favourite book. I just finished it, and all I want to do is read the next book. It's absolutely fantastic, and I would argue one of the best of Julie Kagawa's stories so far. It's a breathtaking adventure filled with action, monsters, deception, magic, blossoming romance, lore... I really could go on! The story itself is exciting, with grand battles and trials around nearly every corner. The world is absolutely gorgeous and filled with all kinds of Japanese monsters and creatures. There were so many open storylines that I'm dying to see resolved, so many backstories I need to hear. The characters are stellar. I loved the side characters like Okame and Daisuke, but my full attention was on the main characters of Yumeko and Tatsumi. Both of them are strong on their own––with Yumeko's curiosity and determination, and Tatsumi's inner struggle––but together they are a force to be reckoned with. His moments defending her are almost as thrilling as her genuine kindness to him, no matter what he does. While I completely adore this book for everything it is, I would come back for their relationship alone, especially after that ending! I have so many questions and theories about this story and its mysteries, and I'm genuinely biting my nails in anticipation for what comes next. This group of unlikely heroes has a long journey ahead of them, and I can't wait to see where it goes. I am a fan of the Iron Fey series, so going into this book I had high hopes and I was not disappointed. Yumeko was the perfect combination of naive and cunning. Kage wasn’t brooding, he was introspective and because of the way the book was written we got to see what he was feeling and why. They were both well rounded characters, there was so much more than surface appearances both physically and mentally. Their companions were also well fleshed out characters. The world building was extremely well done, and I enjoyed the lead characters journey. The only criticism that I have is that the villains could’ve been a bit more fleshed out. Because everyone is after the scroll and therefore the ultimate wish the villain’s motivations aside from the obvious were left out, and we got bad guys who were bad because they are bad. But there was a twist at the end that may not justify their lack of development, but it excuses it. The ending wasn’t a cliffhanger, because the first part of the journey is over. However there is so much mystery left for both the characters and the readers. I can not wait for the next book. I loved the idea of a story set in Japan, with some mystic, some romance and a lot of amazing settings. While I got most of it, I had a hard time getting in to the story and also, liking the characters. Even so, it was a good read and I would encourage everyone to give it a try. I love the japanese diolauge at the end. A mortal/fox how cool is that!